There is great satisfaction in knowing you’ve done your job well and served your clients’ interests. It gives us particular satisfaction when our clients take the time to acknowledge their satisfaction by providing HGC Construction with their testimonials. I would like to express my extreme satisfaction with the job delivered by HGC. Since the beginning of our project, HGC’s team has carried out incredible energy into ensuring that the APNL build-out ran smoothly. All associated with our project worked diligently with very tight timelines and all tasks were performed admirably. Thanks to your leadership and dedication combined with your staff’s teamwork, we are now enjoying our beautiful new office. Please accept my most sincere gratitude for the superior job you and your staff have completed. It would be my pleasure to work with HGC again on a future project. 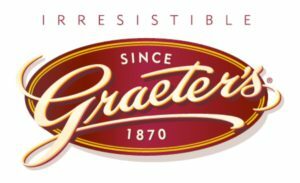 I would like to take this opportunity to express the remarkable efforts of HGC Construction that were put forth in the construction of our Graeter’s Ice Cream store in Mason, Ohio. HGC Construction is made up of a team of dedicated professionals at all levels. Your organization delivered a truly quality product in a timely manner and treated our project as if it was your own. All members of the project team took great pride in their work and reputation. HGC is among the most customer-focused contractor’s I’ve encountered. The quality of the work and workmanship itself was outstanding. I can’t say enough about the project management and quality of subcontractors that you chose to use on this project. It appeared to us that this team had been together for some time. This reviews the experience our school had had with HGC Construction. Our project included building a fives story, 10,000 sq. ft. addition to the main building, renovating eight science labs in the Upper School and one lab in the Middle School, administrative offices in the Middle School, all the plaster ceilings in the east and west wings of the main building, as well as installing a news HVAC system in those wings. This all needed to be accomplished in 13.5 weeks while the students and teachers were on vacation. No loud construction could take place on the weekends given legal covenants with the neighbors in this residential area. Beyond the complexities of the project just described, the renovations in the Upper School took place in the main building which was constructed in 1890. No architectural drawings existed. While construction is normally dirty work, remediating 125 year old plaster ceilings left a thick coat of dust on everything. I wondered if the place would ever get clean. When the teachers returned on August, 27th, everything was ready to go. Some parents had bets with each other about whether the school would open on time. Those that bet against HGC lost. Needless to say, I am a huge fan of the HGC organization. They work hard. They want to please the customer. They go beyond the call of duty if it is required. I’ve asked their advice on other building challenges and they’ve freely offered it. They are honest; when they make a mistake, they admit it and fix it. HGC works very well with the architects and designers. Many of our issues were resolved between those two organizations behind the scenes. They partner well together. The construction projects that your team has performed at Great American Ballpark and Nationwide Arena have been successful due to the dedication of your team. Projects at sports facilities are performed on confined sites with very tight schedules, and your team is adept at meeting deadlines while delivering a quality product. I appreciate that the HGC team consists of dedicated professionals at all levels. They are devoted, knowledgeable and very helpful in making recommendations for best practices and value when it comes to determining materials and processes. Our projects truly are a team effort from everyone involved, and I am grateful for the attention and collaboration that HGC provides during the entire project process. 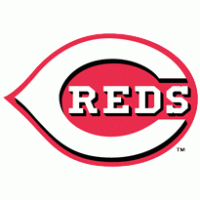 Since I started with the Cincinnati Reds, HGC has not only been an outstanding contractor but also a true partner in our efforts to dream up, design and execute projects within a budget. We are not an easy client as we tend to evolve projects in real time so as to achieve the best final result. These projects almost always consist of short time frames and tight budgets, usually through winter conditions. HGC has become accustomed to that process and they always help us get it right,every time. Scripps Networks Interactive, Inc. contracted with HGC Construction for Construction Management services related to the development of our corporate headquarters at 312 Walnut Street in Cincinnati, Ohio. The facility was complex requiring significant attention to detail and high quality finishes under a tight schedule. It included space on three separate floors at the location, two of which required an interconnecting stair. Coordination with other tenants, the landlord, and Scripps other contractors was essential which HGC completed without issue. HGC Construction delivered the facility on budget with outstanding detail and has been very responsive on all follow-up issues. Scripps Networks Interactive will continue to involve HGC Construction in future projects. Once again, I write to thank HGC Construction for completing another project for Saint Ursula Academy on time and within the budget. Through three generations of management, HGC Construction and your earlier related company, Richard J. Huseman Company, have served Saint Ursula through the construction or remodeling of at least eleven major projects and countless minor ones. You have met our maintenance needs and freely given advice whenever asked. The recently completed Student Center is a great example of your flexibility to meet the clients changing needs. One month into the project our requirements changed and we had to completely redesign the food service and preparation areas. You were able to adapt and still finish within the original time frame. And with all the changes we were able to pass the Board of Health inspection on the first time with rave comments from the inspector. It is no wonder that we continue to return to HGC for all of our construction needs. From management thru every tradesman, your staff is honest, helpful, innovative and fair. You make my job as volunteer owner’s representative very easy. Thank you. When I first contacted you on Tuesday, March 4, at which time the flood waters were still advancing. I outlined our need and urgency to get our sales and operation offices on line as soon as the flood waters started to recede. You stated that could handle our project. Early Saturday, March 8, 1997, we loaded your crew onto a trailer and transported them through four feet of receding flood water, to our warehouse. They started working with no electricity and four to six inches of mud to slop through. The HGC crew worked around the clock, tearing out parts of the offices that were destroyed, cleaning, and rebuilding the sales and operation offices, etc. Your Field Leader supervised and coordinated his own crew, many sub-contractors, and material suppliers. HGC overcame numerous obstacles and did a fantastic job. Thanks to your extra effort and tremendous determination, we were able to move back into our building on Friday, March 14 (six days after you started). Hats off for a job well done! It made a major impact on our quick recovery. The University had the good fortune of completing this project with the Lead contractor of HGC Construction. This project involved multiple prime contractors to completely renovate the interior of the structure and the exterior walls of a 15 story dormitory. The project was compounded with discovered hazardous materials during early demolition. HGC Construction with their experience resolved the issues of added work with clear and detailed communications and direction to the combined work efforts. The scope of work was further compounded with the addition of site restorations. Again HGC Construction professionally managed the changes with steady and diligent management. HGC Construction as the Lead contractor, throughout the project, maintained a firm leadership responsibility in subcontractor coordination. HGC’s Project Team was adept at activity planning, safety and coordination to everyone’s benefit. I personally look forward to another occasion to work with these gentlemen. There were no disappointments in their performance. They can feel accomplishment with the project being awarded a Cincinnati AIA Chapter “Cincinnati Design Award” in 2013. HGC’s cooperation with the Architect achieved one of the most notable and liked buildings on campus. The University is grateful to HGC for their work and their experience. I hope to have the pleasure of HGC as the lead contractor on UC’s next major project. 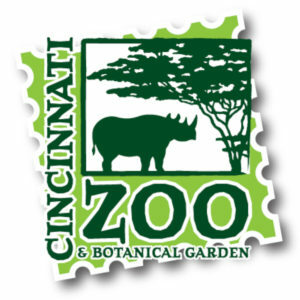 I wanted to take a minute to thank you and your team for the outstanding job you did on Cat Canyon project for the Cincinnati Zoo & Botanical Garden. You and your construction teams’ knowledge and experience, combined with the flexibility and commitment to success, made working with your company a pleasure. HGC Construction delivered our exciting new exhibit on time and within budget to my sincere satisfaction – it is a show piece for the Cincinnati Zoo & Botanical Garden as well at the City of Cincinnati. The pride and craftsmanship and attention to detail truly made a difference in the outcome of this project. Also, please convey my thanks to the HGC Project Team. They were very enjoyable to work with and were extremely helpful in managing the project and addressing the many complex challenges that arose during the construction of the new exhibit. We are appreciative of the efforts of HGC. In closing, let me thank you again for the level of effort put forth by all involved to complete this project. Initially Paul Brown Stadium Ltd. hired HGC Construction. after our Inaugural Season in 2000 to make modifications to areas in Paul Brown Stadium that weren’t functioning the way we needed them to. Since that time HGC Construction has successfully completed many projects for us at Paul Brown Stadium and we have been quite satisfied with their performance as shown by us continuing to ask them to return. We have enjoyed a business relationship founded on mutually agreed upon goals and honest communication, both of which are fundamental to our shared success. This relationship is not only visible at the on-site management level, but also has been fostered by HGC Construction corporate officers. If you are seeking a company with a genuine interest in business growth and being active participants on your team, I recommend HGC Construction for your Project. The efforts put forth on the renovation of the historic Enquirer Building into a dual flag hotel for the Hampton Inn & Suites and Homewood Suites has been admirable. The HGC team was selected for this project due to its history of performing complicated renovations as well as its commitment to quality. I can say with certainty that your team has been very proactive in identifying potential challenges and unforeseen conditions. All challenges have been addressed in a timely manner with both creative and practical solutions in order to keep the project on schedule with the budget continually in mind. Your staff has proven to be very professional, knowledgeable and dedicated throughout this process; quality workmanship and a commitment to excellence are apparent in everyday activities. I appreciate that HGC is a real team player, working closely with the architect and SREE Hotels to provide a first-of-its-kind hotel development in Cincinnati.